Save the Dates! Linux Security Summit Events for 2019. Lyon, France. October 31 – November 1. Stay tuned for CFP announcements! This entry was posted in Linux on January 30, 2019 by jamesm. The inaugural Linux Security Summit Europe (LSS-EU) was held in October, in Edinburgh, UK. 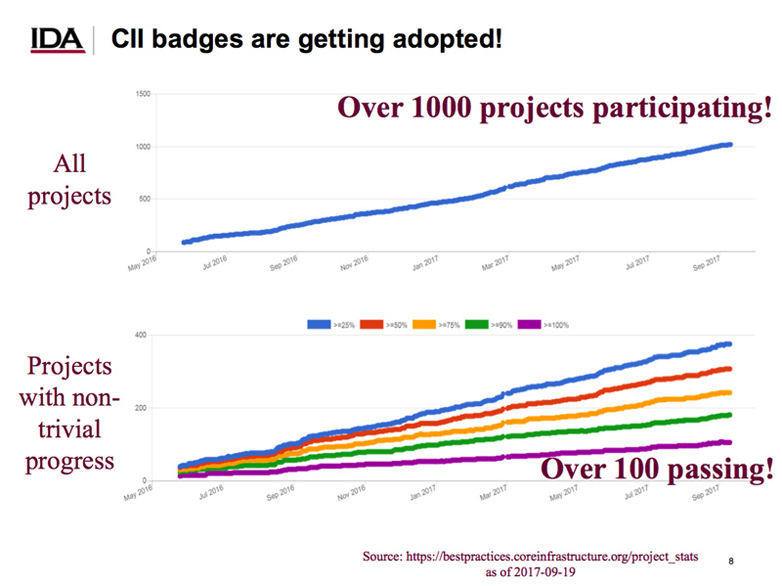 For 2018, the LSS program committee decided to add a new event in Europe, with the aim of fostering Linux security community engagement beyond North America. There are many Linux security developers and users in Europe who may not be able to obtain funding to travel to North America for the conference each year. The lead organizer and MC for LSS EU is Elena Reshetova, of Intel Finland. This was my first LSS as a speaker, as I’ve always been the MC for the North American events. I provided a brief overview of the Linux kernel security subsystem. Sub-maintainers of kernel security projects presented updates on their respective areas, and there were also several referred presentations. Slides may be found here, while videos of all talks are available via this youtube playlist. The event overall seemed very successful, with around 150 attendees. We expect to continue now to have both NA and EU LSS events each year, although there are some scheduling challenges for 2019, with several LF events happening closely together. From 2020 on, it seems we will have 4-5 months separation between the EU and NA events, which will work much better for all involved. This entry was posted in Linux on December 22, 2018 by jamesm. 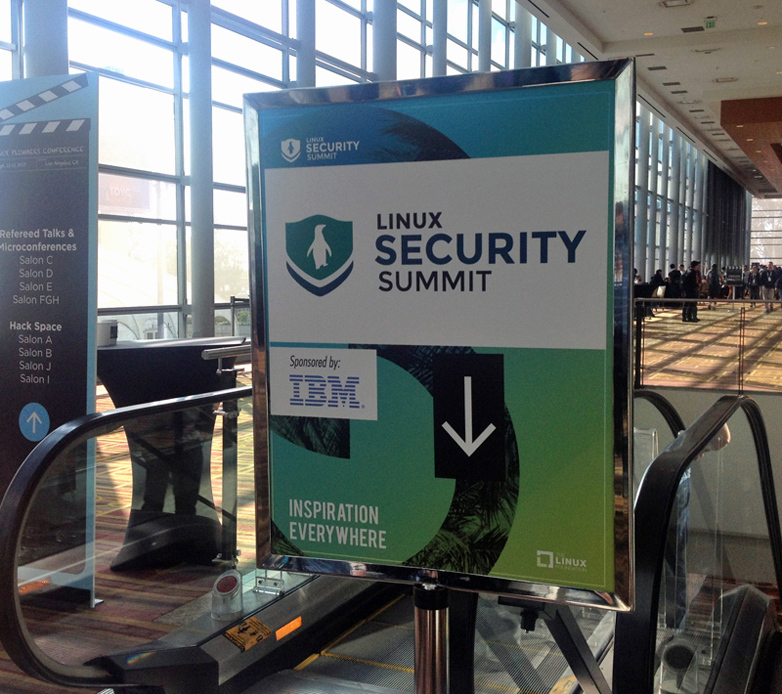 The 2018 Linux Security Summit North America (LSS-NA) was held last month in Vancouver, BC. Attendance continued to grow this year, with a record of 220+ attendees. Our room was upgraded as a result, with spectacular views. We also had many great proposals and the schedule ended up being a very tight fit. We’ve asked for an extra day for LSS-NA next year — here’s hoping. Videos may be found in this youtube playlist. Once again, as is typical, the conference was focused around development, somewhat uniquely in the world of security conferences. It’s interesting to see more attention seemingly being paid to the lower parts of the stack: secure booting, firmware, and hardware roots of trust, as well as the continued efforts in hardening the kernel. Paul Moore has a brief writeup here. Thanks to everyone involved in the event for 2018: the speakers, attendees, the program committee, the sponsors, and the organizing team at the Linux Foundation. LSS-NA would not be possible without all of you! This entry was posted in Linux on September 28, 2018 by jamesm. This is a reminder for folks attending OSS Japan this week that I’ll be leading a Linux Security BoF session on Wednesday at 6pm. If you’ve been working on a Linux security project, feel welcome to discuss it with the group. We will have a whiteboard and projector. This is also a good opportunity to raise topics for discussion, and to ask questions about Linux security. This entry was posted in Linux on June 18, 2018 by jamesm. There will be a new European version of the Linux Security Summit for 2018, in addition to the established North American event. This entry was posted in Linux on November 15, 2017 by jamesm. For folks attending Open Source Summit Europe next week in Prague, note that there is a security session planned as part of the co-located Kernel Summit technical track. An open kernel summit technical track which is open to all attendees of OSS Europe. Currently, the agenda includes an update from Kees Cook on the Kernel Self Protection Project, and an update from Jarkko Sakkinen on TPM support. I’ll provide a summary of the recent Linux Security Summit, depending on available time, perhaps focusing on security namespacing issues. This agenda is subject to change and if you have any topics to propose, please send an email to the ksummit-discuss list. This entry was posted in Linux on October 20, 2017 by jamesm.